Home Archive by category "Business of Writing"
Welcome to Marketing Minute! 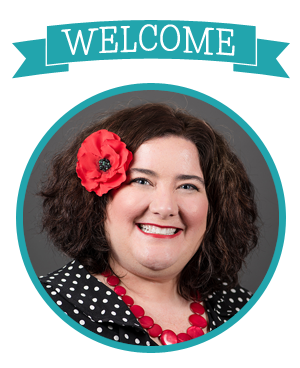 In this series, I’ll give a quick tip along with a few resources you can use to make improvements to your Author Marketing Strategy! Today’s tip: Don’t neglect your Facebook page. I’m often asked by authors why they should bother with a Facebook Page as part of their marketing strategy. Most of us get the most interaction on our profiles anyway, and the majority of posts on a Page don’t get shown to readers anyway. So why bother? When a reader finds your page, and there hasn’t been any activity on it lately (or ever), what does that look like? It makes it seem like you aren’t an active author. If you’re lucky, they’ll hunt you down in another way, but that’s not always the case. Page posts don’t have to be daily, but you should post something once a week or so. This is a great place to post links of reviews and other happenings for your new releases. Don’t know what to post in between book releases? Check out this post: 30 Facebook Business Page Post Ideas. I’m a big fan of the infographics in this post! I even printed the one shown here and keep it in my Marketing Binder for when I’m stuck on ideas. Also make sure your Facebook Page is as up to date as you can make it. Add milestones of important events, like a book’s release or attendance at a conference. Is your website address easy to find from your Page? Is your profile image consistent with your branding? I love that I can schedule posts on my Facebook Page. Make sure you take advantage of this when things get busy in Author land and schedule ahead a few posts. Don’t forget to check for comments though! Do you have a Facebook Page? How do you use it? Leave me a comment and let me know! If you are fancy and get your pasta fresh, then this step may not apply to you. For the rest of us, who get their pasta from a box, this will make perfect sense. When you are getting ready to start making your spaghetti dinner, you get the pasta out of the box. And the noodles are hard, right? Wouldn’t it be fantastic if we could simply wiggle our noses and have our spaghetti dinner magically appear on the dinner table? If only it were that easy! 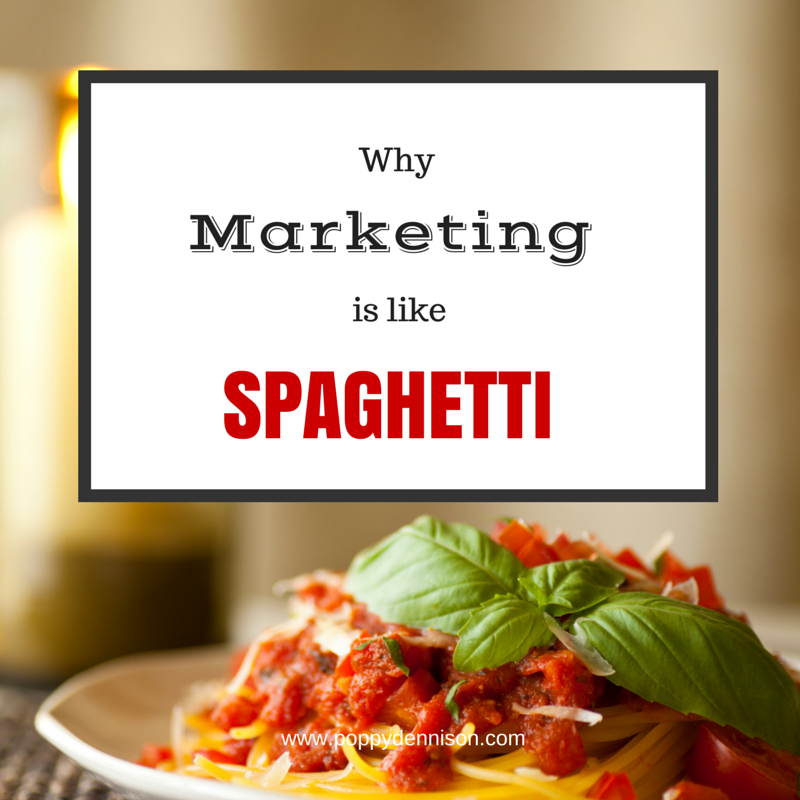 Marketing takes time to “cook” and you get out of it what you put into it. Now, if you’re like me and not only does your pasta come from a box but your sauce comes from a jar, the cooking process will be faster. But wouldn’t you agree that a homemade pot of sauce that has simmered all day is so much better than anything you can get from a jar at the grocery store? One of the biggest hurdles I face as an author is making sure I balance my time between writing and marketing. Bottom line is that if I don’t write a fantastic book, no matter how much I market it, I’m not going to succeed. But if I do write a fantastic book, and no one knows about it, I’m not going to find a level of success either. Sure, there are those occasional books that take off (we tend to call them “lightning strike” books), but those books are rare and no one can really say what happened to make them such an instant hit. (Oh, would my job be so much easier if someone could!) Think about it this way: it took time to write the book, to go through edits and formatting. Shouldn’t it take time to market the book as well? Whether you’re following the directions from the box and jar, or pulling out grandma’s super secret passed down through the generations sauce recipe, you’ll have certain steps that you follow to make your spaghetti turn out the way you want it to. Marketing takes a recipe, too, and the way you make it work for you will not be the same as any other author out there. Yeah, some of the ingredients are the same– in order to make spaghetti, you have to have the noodles, right?– but how they come together is as unique as you are. Take some time to create a recipe that works for you. Add the ingredients you need, and cut the ones you don’t. Remember that you don’t have to be everywhere (and that includes all those social media platforms you have accounts for and never update). Sometimes the simplest sauce is the one with the fewest ingredients, and sometimes the most successful marketing efforts are the ones that are simple and well thought out. 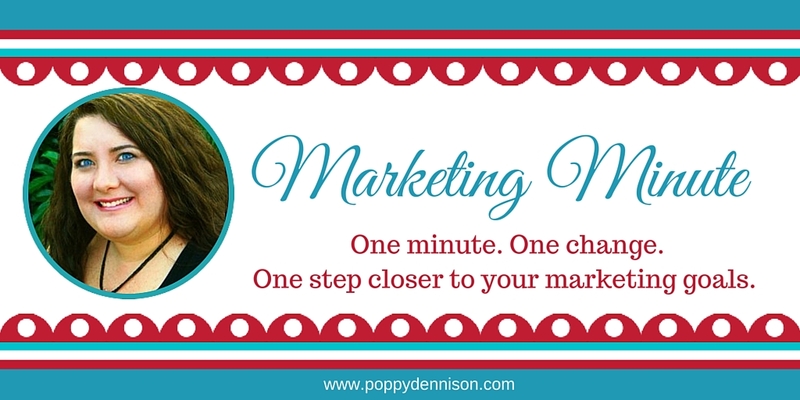 Back to my opening question, why is marketing such a challenge for authors? Because we haven’t taken the time to learn exactly what marketing is and how it can work for us and our books. We haven’t created our own secret recipe–even if that recipe involves reading the back of the jar for instructions. Determine what level of marketing “chef” you are, and create your marketing plan accordingly. You don’t have to be an expert, but you need to know the basics before you dive in and create something inedible. So authors, what do you think is the hardest part of marketing? Leave a comment below and let me know what topics you’d like to see me cover in this series. I’d be happy to help you create your own recipe for fantastic spaghetti, er, I mean, marketing.